Enterprise Fitness pride themselves on leading by example, and that is exactly what they have done by becoming the first personal training studio to achieve Quality Accreditation. 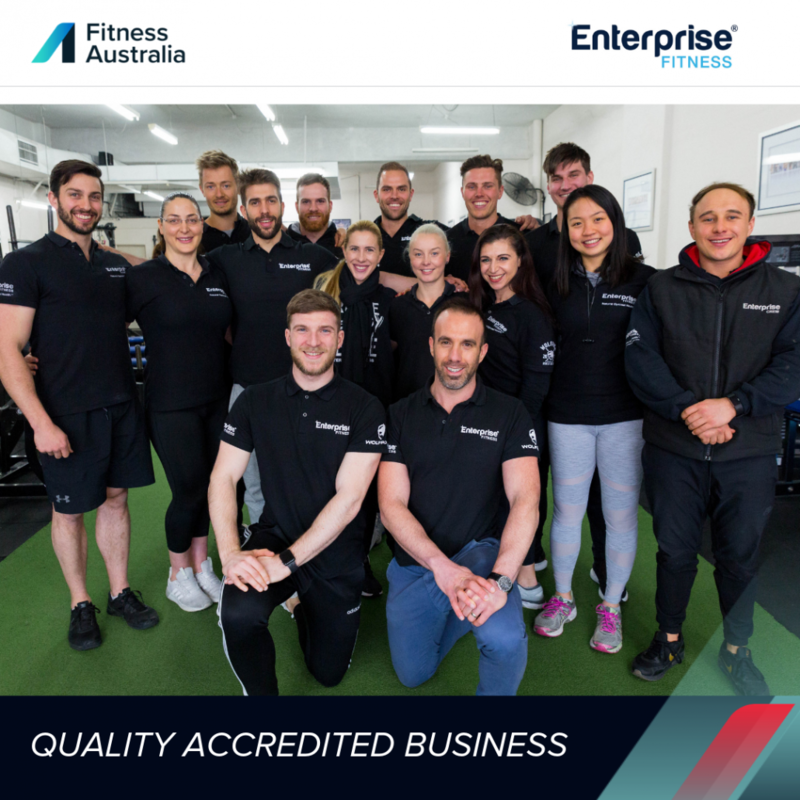 The Quality Accreditation Program by Fitness Australia, the national peak fitness industry association, is designed to continuously build on the quality of a fitness business, with customer care and value being the ultimate goals. “As part of the accreditation, business managers are provided with feedback in order to improve the effectiveness of their business. Enterprise Fitness was a shining example of how systems can be used to enhance and streamline the daily operations in a fitness business” says Scott. “Embarking on the Quality Accreditation program was akin to undertaking a Master degree for your business. It takes commitment to complete but is well worthwhile as it highlights weak and strong links in your business,” says Mark. Fitness Australia’s Quality Accreditation Program is available to fitness businesses in Australia via accreditation.fitness.org.au or for more information call 1300 211 311. Enterprise Fitness Australia is one of Melbourne’s leading personal training studios that turns its member’s fitness goals into reality by making health and fitness a part of their lifestyle, through education.